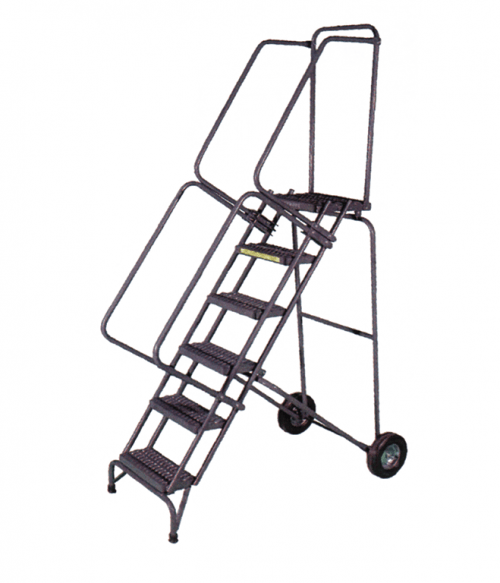 What is a rolling ladder? 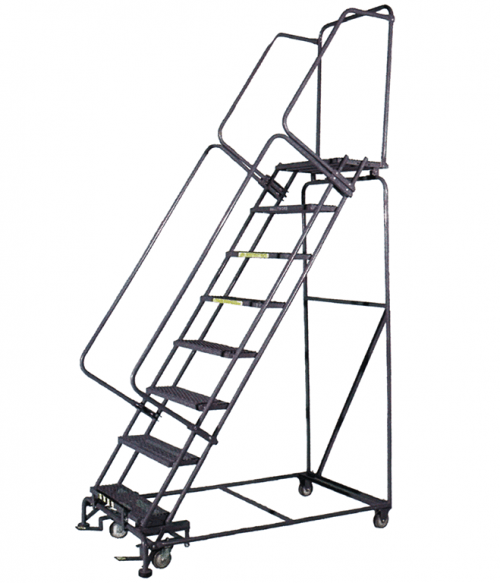 The best rolling ladders are equipped with high quality casters, permitting the ladder to be moved from place to place. They can be of varying size and width, but all must meet the specifications of OSHA regulation 1910.29. 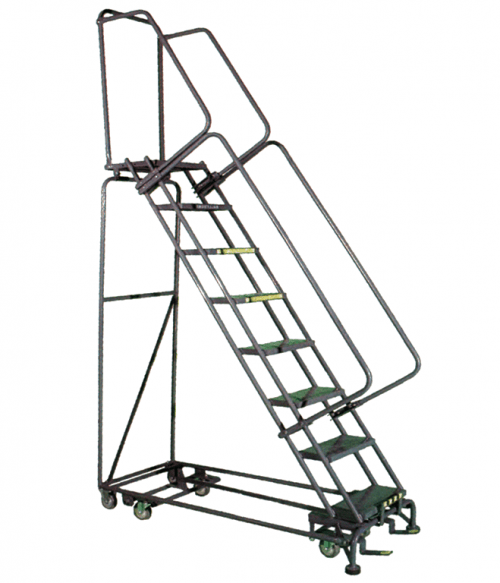 The modern rolling ladder can be manufactured from several different materials. Although steel tends to be the most common material used, everything from fiberglass to aluminum is available in our industry today. 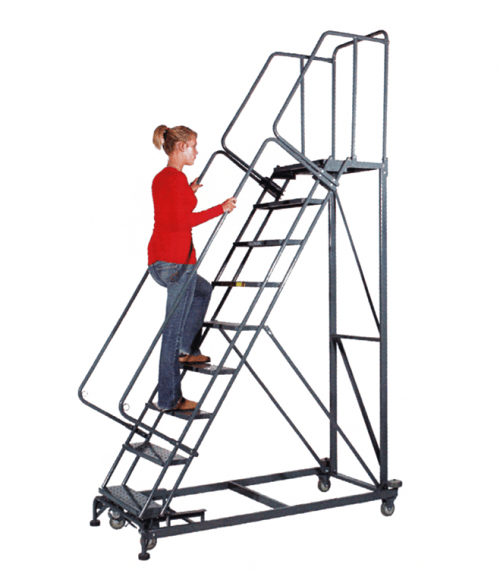 Rolling ladders are extremely useful in a wide variety of situations. Maintenance areas, the stock room, and warehouses all benefit because personnel can have the easy access they need to maintain their productivity. 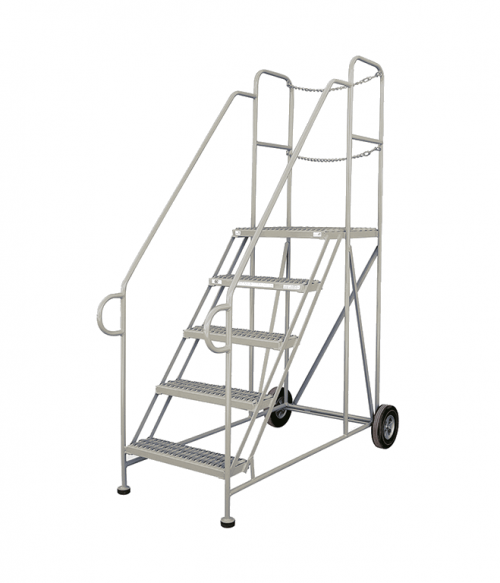 Look for perforated steps in the best rolling ladders for added slip resistance when using the equipment. There are a number of different design options that are available to meet specific needs as well in this category. All-Directional Rolling Ladders. 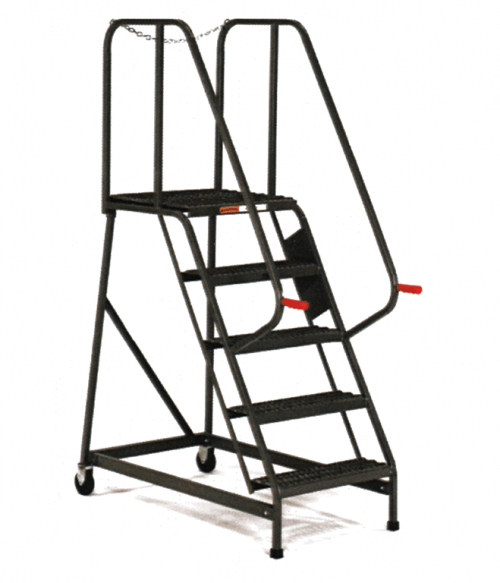 This ladder design is able to pivot on its own radius, allowing your personnel to work within narrow, confined spaces. Easy Turn Directional Rolling Ladders. 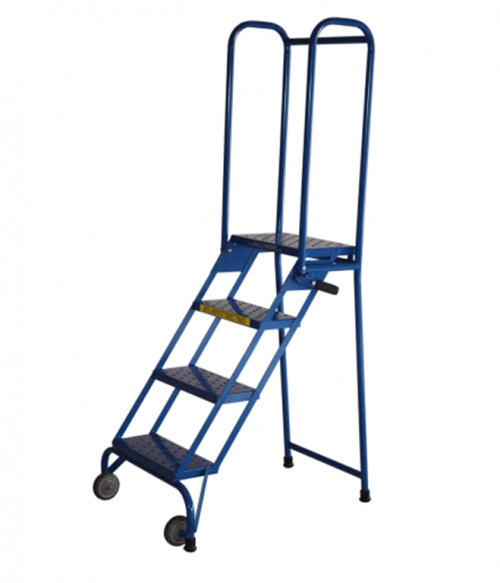 These rolling ladders feature front and middle wheels that retract when the ladder is in use, allowing it to act as a platform that is resting on rubber pads for greater stability. 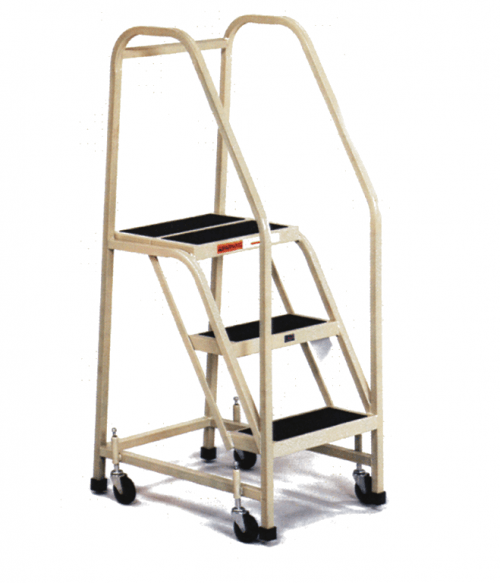 Locking and Stocking Rolling Ladders. 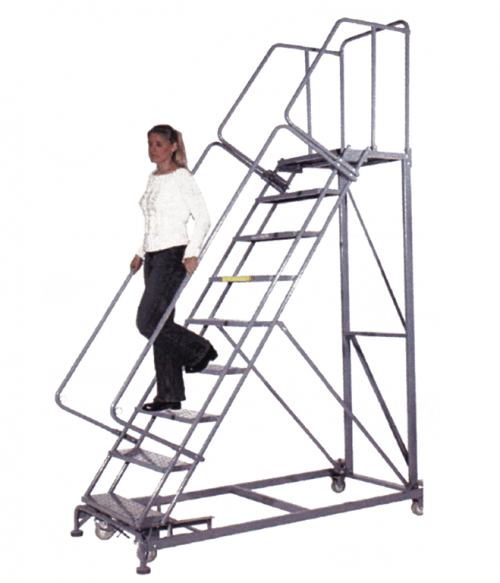 These are the smaller ladders in this category, able to withstand about 350 pounds on average. 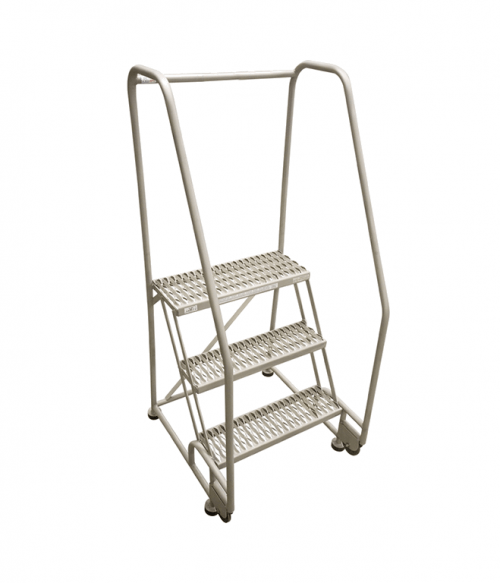 They are generally a 3-step ladder which folds up for easy storage, but locks in place for the stability that is needed. 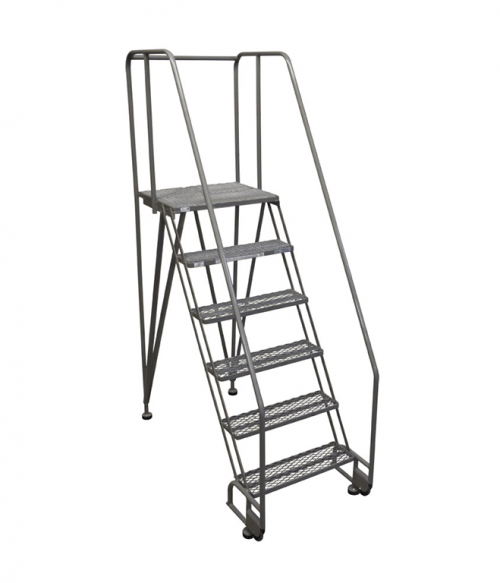 You will also find that many ladders offer a heavy duty manufacturing option, which typically has thicker diameter tubular materials and stronger powder-coating or galvanized finishes available. 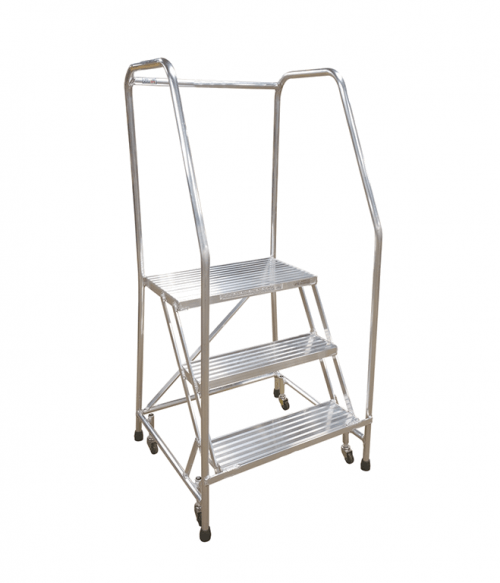 Not sure which rolling ladder options is the best one to satisfy your needs? Then let our team know what you’re thinking about today. Together we’ll find the best ladder possible.